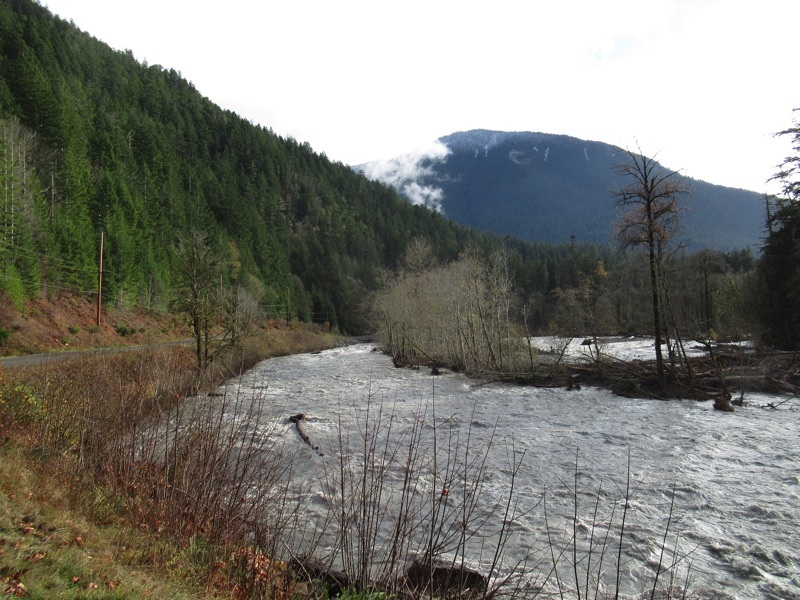 Olympic Hot Springs Road along the Elwha River has been flooded for a while now. The last time we dropped by, there was just a bit of water on the road. 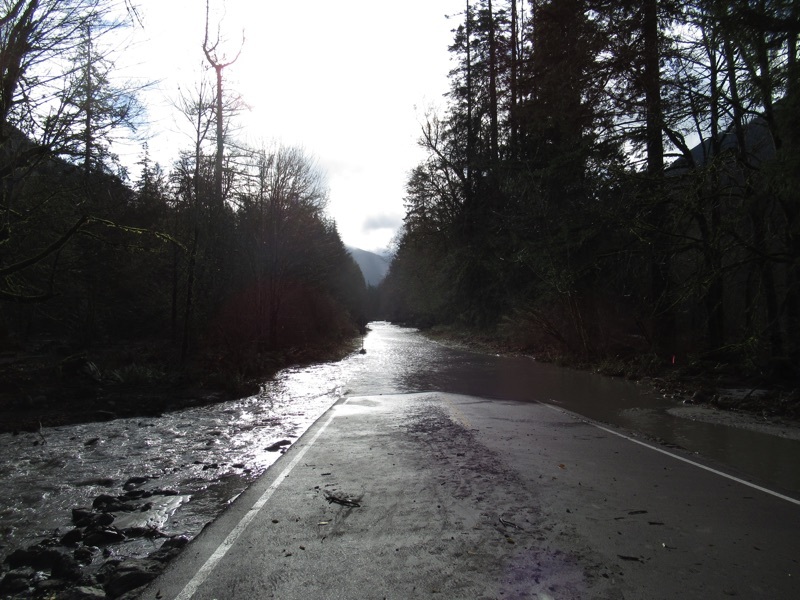 This time, the whole road was a river from shortly after the temporary bridge towards the campground. 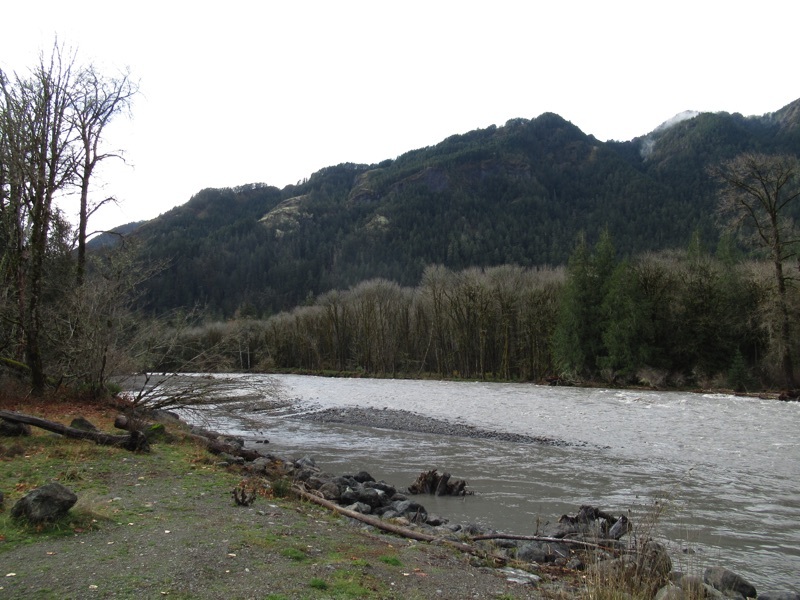 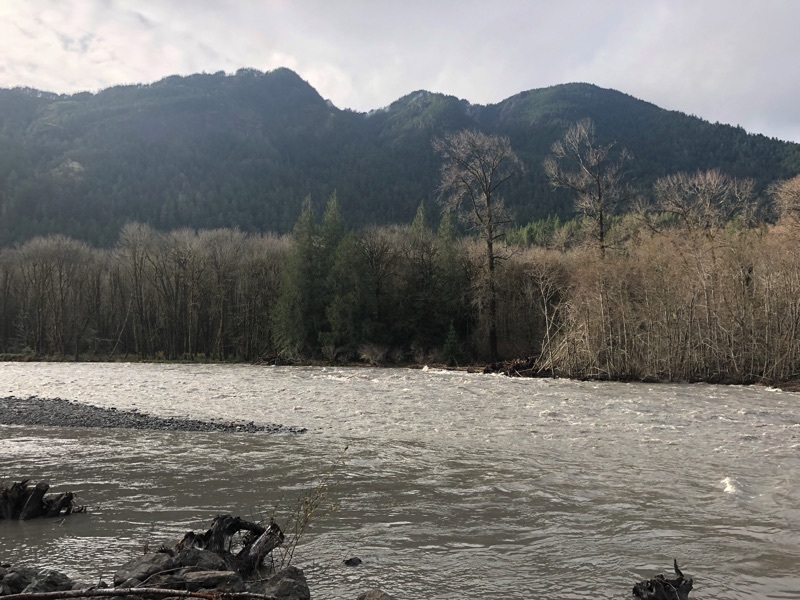 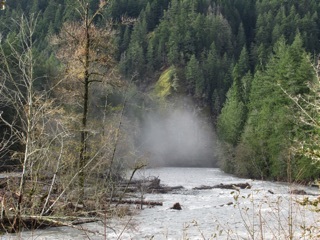 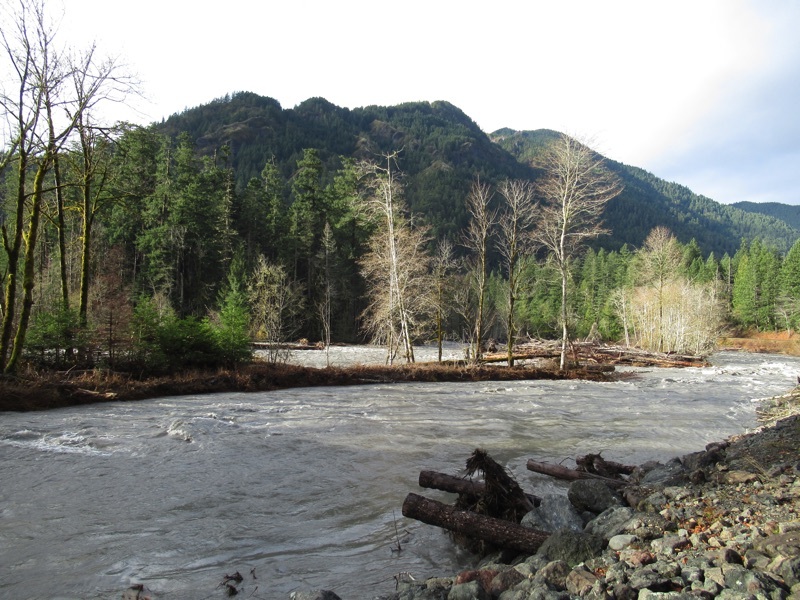 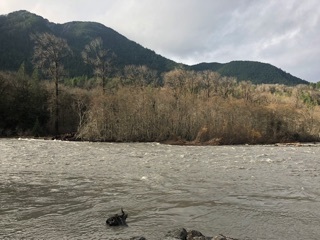 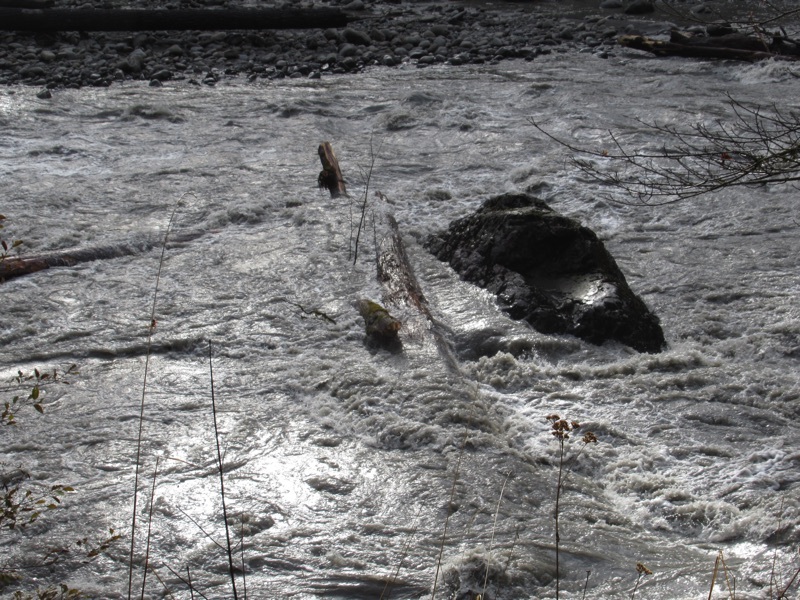 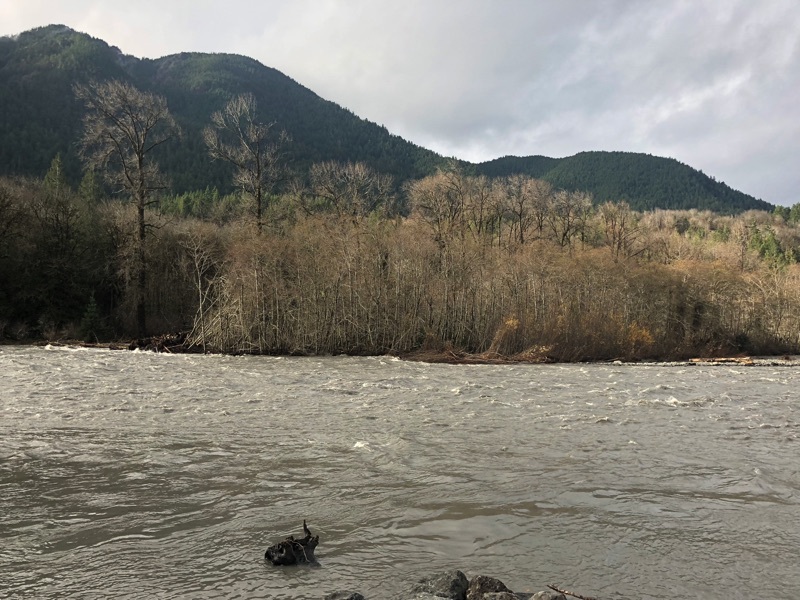 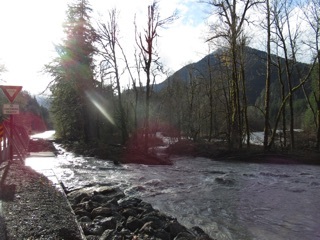 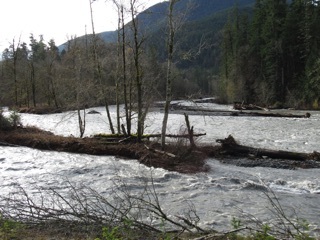 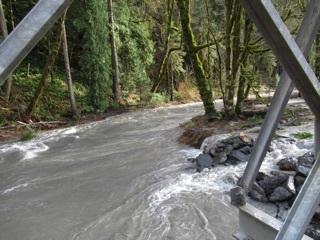 The side stream that flows through the old campground is now a river in its own right, and we have never seen so much rough water in the Elwha.